The Global Precipitation Measurement mission is happy to announce the top winners of the "Unique Perspectives" photo competition. Thank you to everyone who submitted their best pictures of precipitation from unique perspectives. From November 1st 2013 through January 1st 2014, over 1,500 photos were submitted via Flickr and Instagram. We loved all of your entries and thoroughly appreciate your participation. The GPM Core Observatory launches on February 27th, 2014, learn more. 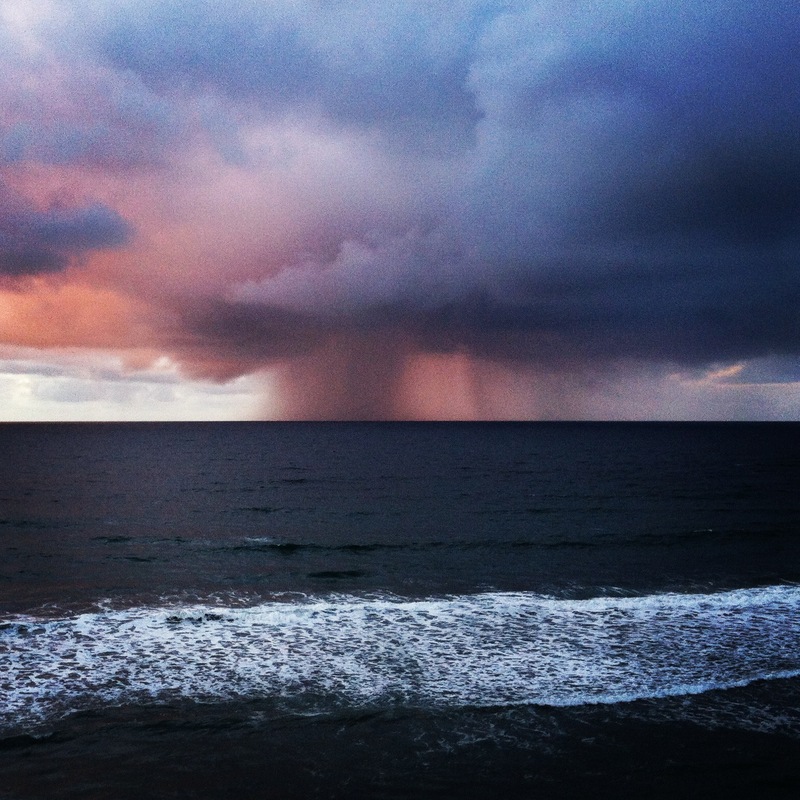 "I took this photo around December of last year from my own backyard in San Diego, California . 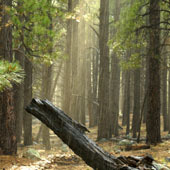 I like to wake up early in the morning to catch the dew drops of the grass." "I woke up one early morning to challenge myself to take better photos of dew drops. It's quite difficult because the slightest move or wind shakes them off of the grass blades. I also took the risk of wetting my iPhone, but I think it was worth it. 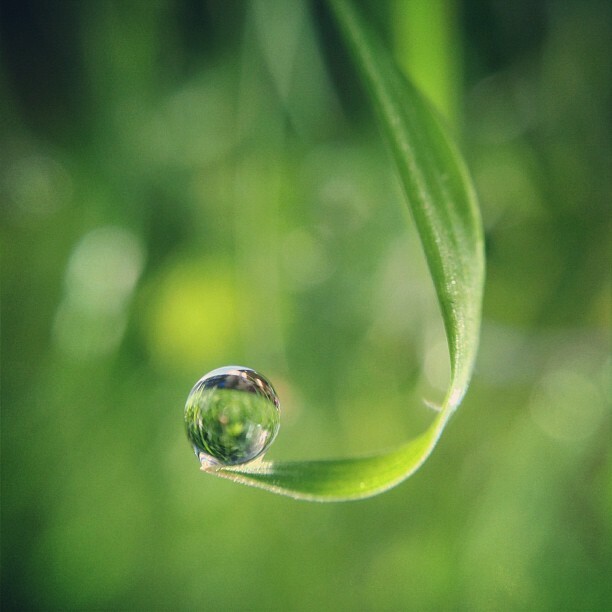 I flipped the image upside down before I uploaded it to Instagram because I like how the grass is holding the tiny little dew drop with such care." "You will find most of my work on Instagram (@teresa_franco) and Flickr." "I love snow. I feel like people share this agreed upon fiction that snow is bad, groan, yuck--in the sun is where you want to be, right? Right? 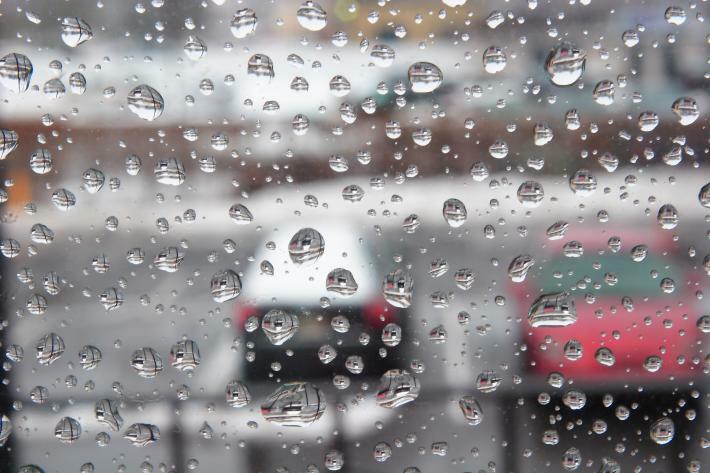 But I never forgot how great it feels to look out the window and see snow falling. It's confetti for an outdoors party you're about to attend, with all the indoor afterglow implied. So at work I just stopped what I was doing and looked out the window. 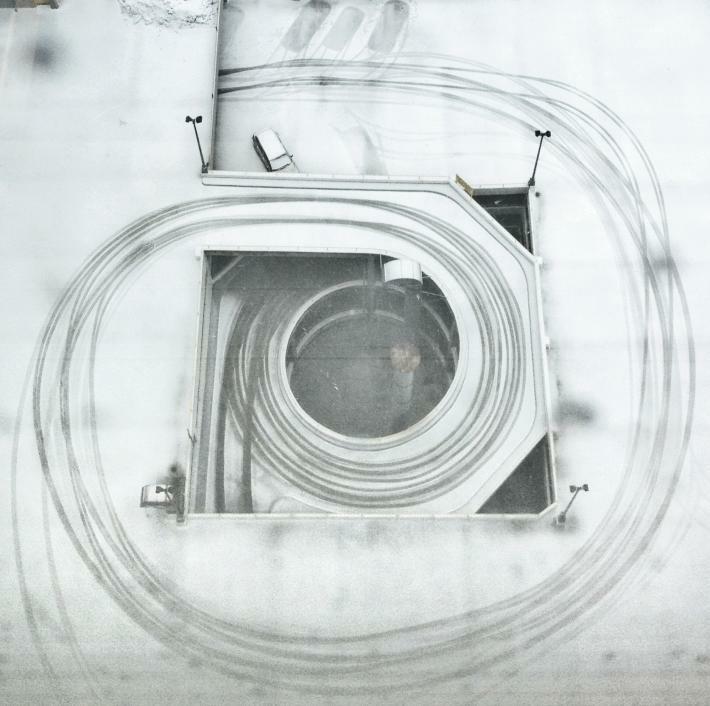 I looked straight down, next to our building, and this is what I saw." "I keep a low profile but enjoy seeing people on Instagram as @mutzenpapa and increasingly like twitter, where I am also @mutzenpapa." 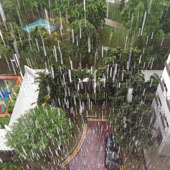 "It was my birthday and it was raining heavily, so I went to my house balcony and looked down. Big fat droplets of water falling, so I though 'why not take a photo of that?' 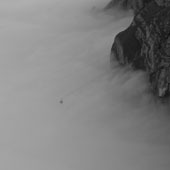 I actually wanted to created a long exposure (more than a second long) where water will look silky but it dawned on me that my HTC One phone camera wasn't capable of doing that." "My sister works at Sky Harbor Airport so I tagged along for the first good monsoon storm of the 2013 season. 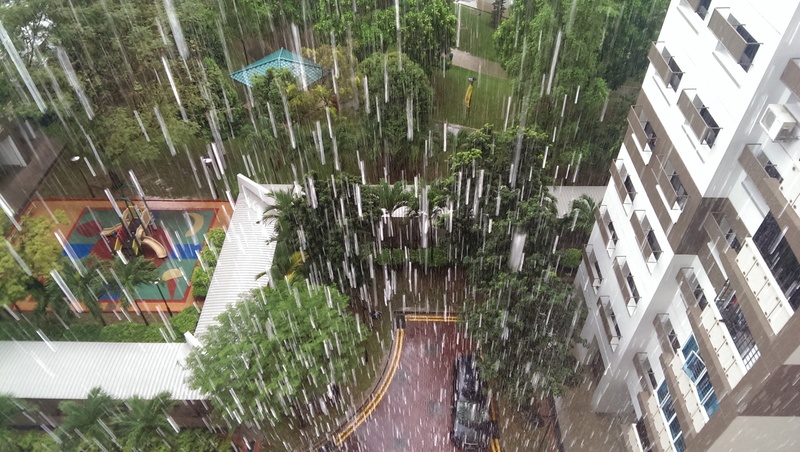 This was my first successful attempt of capturing the monsoon. 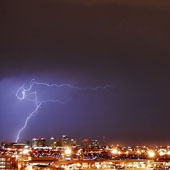 While there, I met a few other photographers trying to get some lightening photography as well." 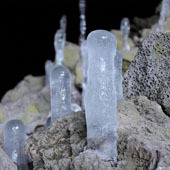 "I heard that there were amazing ice formations in the lava tubes at the Lava Beds National Monument but had no idea which tube they were in. After exploring a few of the easy tubes and being disappointed that I couldn't find these ice stalagmites I decided to bite the bullet and climb through waist deep snow to another lava tube. I was not disappointed! 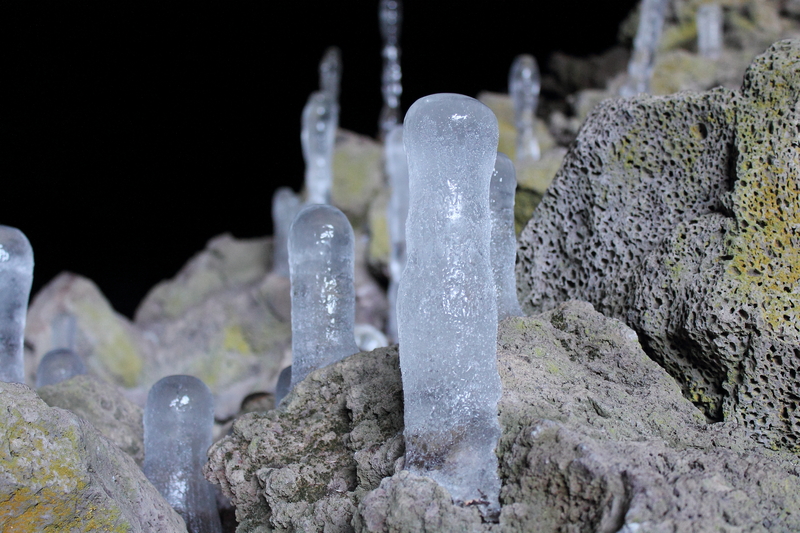 I finally stumbled into a cave with these amazing ice stalagmites growing from the rocks! It looked as if glowing candles were welcoming me to this hidden cavern." 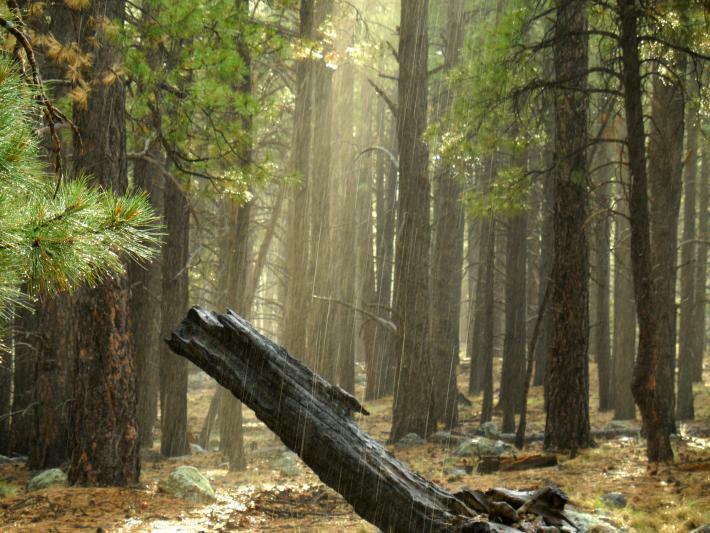 "Taken from my campsite outside Flagstaff, AZ while sheltered in a heavy downpour. The sun suddenly poked through an opening in the clouds and I instantly setup the camera on the tripod and got this moody shot, one of my best rain photos ever." "I was walking to class and was looking at the world a little differently at that time and I noticed the reflection of the sky in the puddle and decided to take a picture." "It was a cold and blustery winter day in Coeur d'Alene as I went out to recess with the preschool children I worked with. As we got outside, to our surprise and delight, the entire playground was covered with some of the gnarliest hoar frost I'd ever seen. 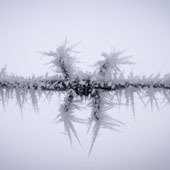 One side of our playground had a chain link fence covered in the frost. Way up high there was barb wire covering the top of the fence and it caught me eye. I noticed that Old Man Winter had decided to show this bar wire fence what barbs were really all about. 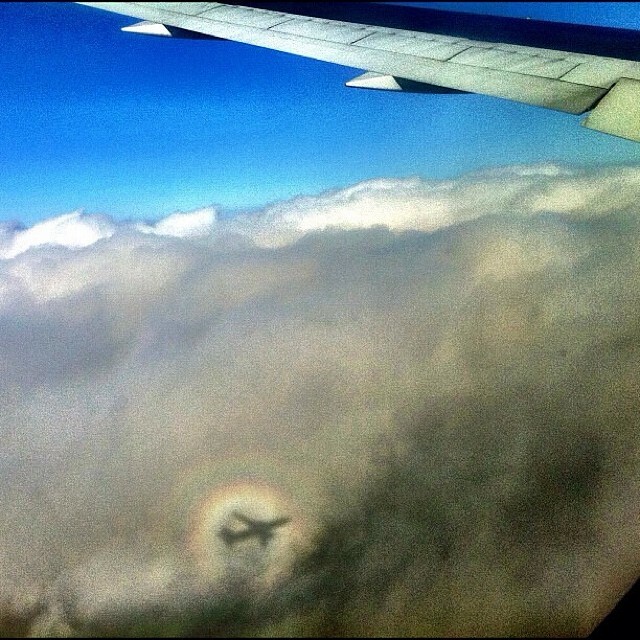 I thought this was pretty cool and had to get a shot of this phenomena with my iPhone." "Photography is my license to explore and a chance to capture those little moments in life that prove it's worth living." "This picture was taken on the annual air show of the Swiss Air Force. The special thing about the show was that we had to walk two hours through the fog to get to the alps to actually watch the show. Shortly before reaching the place we were lucky enough to be above the fog. 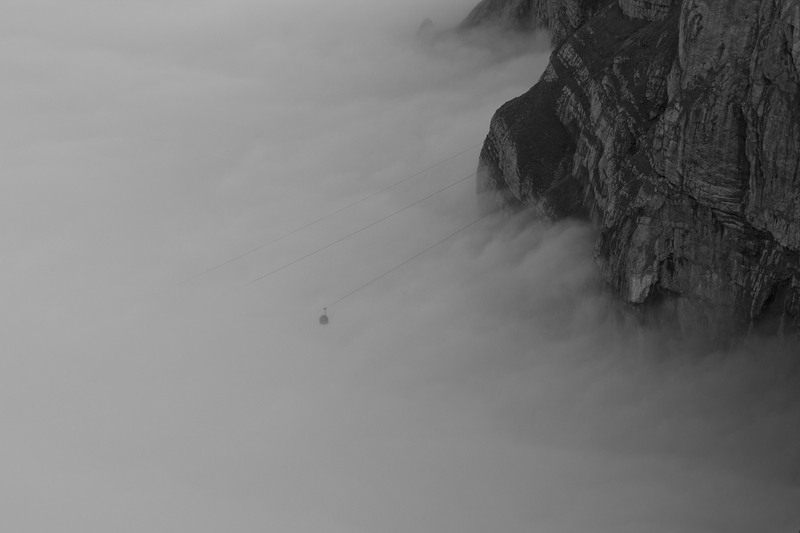 With the sun on my neck, enjoying the view on the sea of fog I took the picture of the approaching cablecar." "In 2012 I had a goal of experiencing 100 sunsets so I followed up in 2013 and set out to complete the same goal. I would go out and take anywhere from ten to hundreds of photos of each sunset and this taught me to read the landscape and light. I have learned much about the way the sun sets in San Diego along the coast. We have so few days with clouds that when you see some, it’s pretty amazing. You make it a point to go out and experience them. 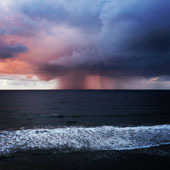 On the day I took this photograph there was a storm off the coast and you could see the rain and the sun setting, making the rain clouds glow. It reminded me of a painting I’d done a couple of years ago of a little sailboat sailing away from a storm towards the sun (https://bulamonsterpaintings.shutterfly.com/pictures/12)." 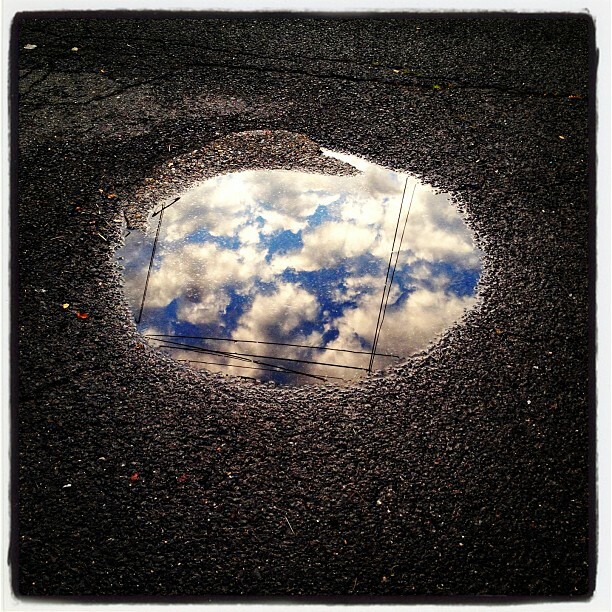 "I am an avid photographer, artist, writer and technologist. I created a mission statement for my life a few years ago that I would profoundly change the world, and I am. I am almost finished with my book on how to change the world, which includes a mathematical formula for happiness. It’s all pretty simple actually. My connections to NASA are several. My uncle worked there from the Apollo missions through the shuttle program and just retired a couple of years ago. His son, my cousin, works in mission control now. Also, my partner in all things fun is former astronaut Dan Bursch who has done several shuttle missions, including expedition 4 when he lived on ISS for 6.5 months." "I was traveling with a colleague and sitting on the port side of the airplane with the rising sun on starboard. As we passed through some cloud banks we saw the 'Brocken Spectre' phenomenon both close to, and further away from, the plane. I knew it was called 'something' spectre and a Google search confirmed it upon landing. It made a fairly routine flight very memorable." 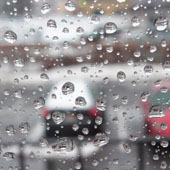 "I was at a motel on the second floor in Central New Jersey and I could hear the wind and precipitation hitting the window. When I woke up, I opened the curtains and shades and to my surprise was a weather abstract in front of my eyes. I saw a clean window totally covered with wind blown snow that had melted on contact. It was beautiful. 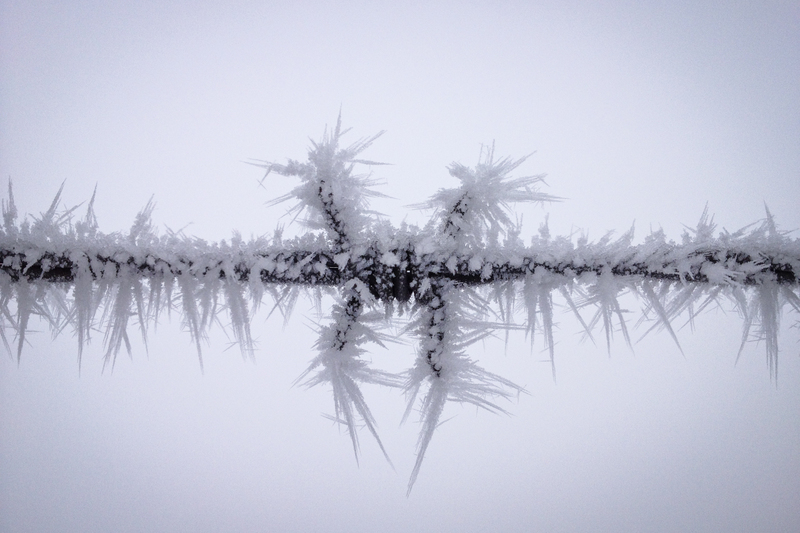 I love weather photography and shooting all types of weather photos,especially close-up abstracts and details. I had my photo equipment with me and immediately set up my tripod and mounted the EOS 20D on it with a Canon 35-80mm lens attached. I set the exposure at f/22 +1/3 exposure to capture the entire window in crisp detail for this particular image. I shot a variety of images at different focal lengths and also used a wide angle lens but they turned out differently. I like this one the best at the 55mm focal length because it shows the background sharp and clear in each of the melted water droplets. The background is just a parking lot with some snow scattered about from the plows and a few cars with snow." 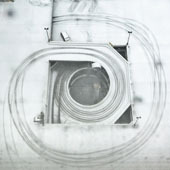 "I am a stock photographer who likes to shoot creative, simple, colorful abstract images. 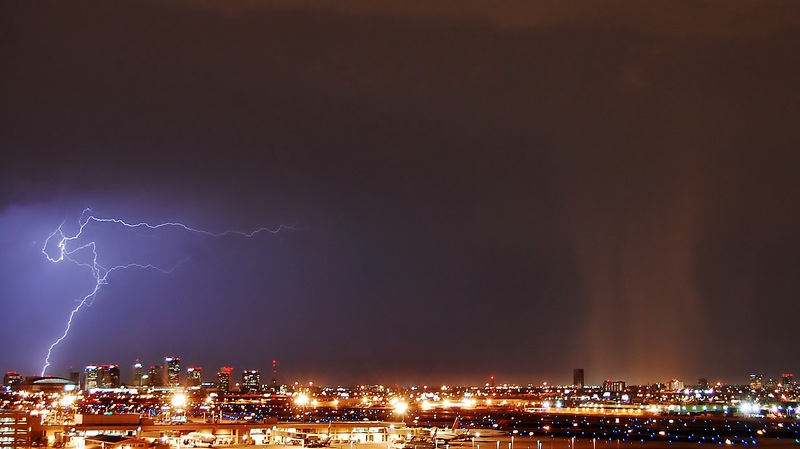 I love weather photography and science so I have tried to shoot and include this type of photography in my stock library. Photography has been something that has made me happy for over 20 years now. I have a website and gallery with all kinds of images including many weather, rain, snow, seasonal frames and also a variety of other subjects. I love science and photography so you'll be able to see all of what I'm about if you friend me there."